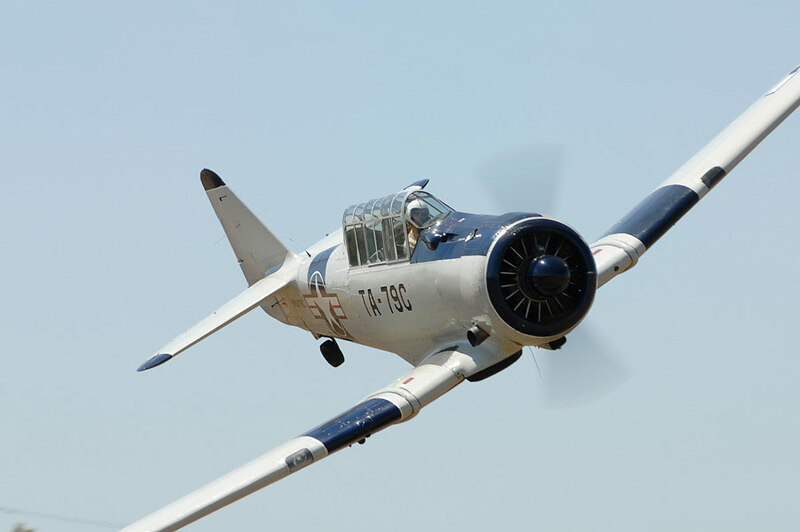 The North American T-6 Texan was built primarily as an advanced trainer for the US Army Air Force, US Navy, Royal Air Force during World War 2 and beyond. It has also served for other countries well into the 1950's. 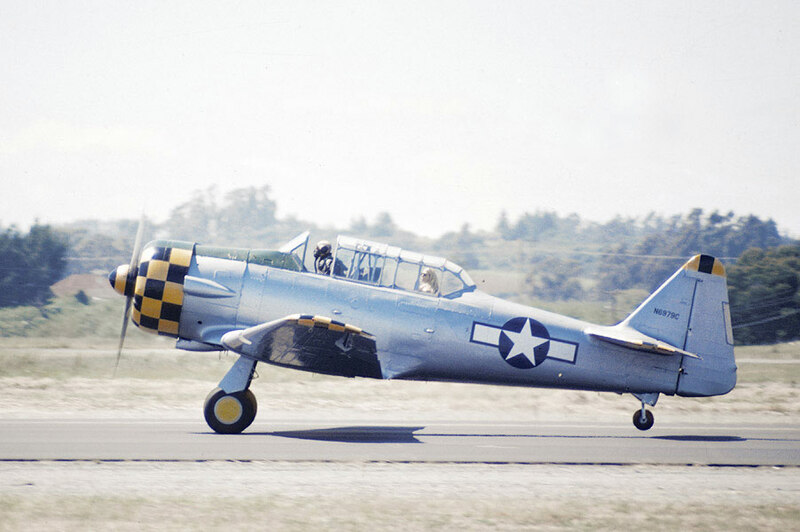 The US Army Air Force designates it as the AT-6, while Navy variants were known as the SNJ. It was also known as the Harvard by the Royal Air Force. Overall 17,000+ were built to be advanced trainers in which pilots received around 75 hours of training before moving on to fighters and bombers. 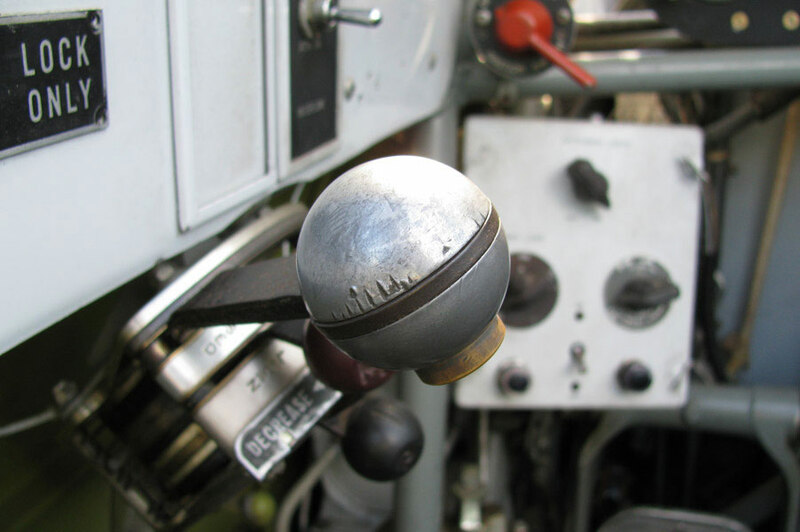 Powered by the Pratt & Whitney R-1340 nine cylinder radial, more than 350 examples are flying today. 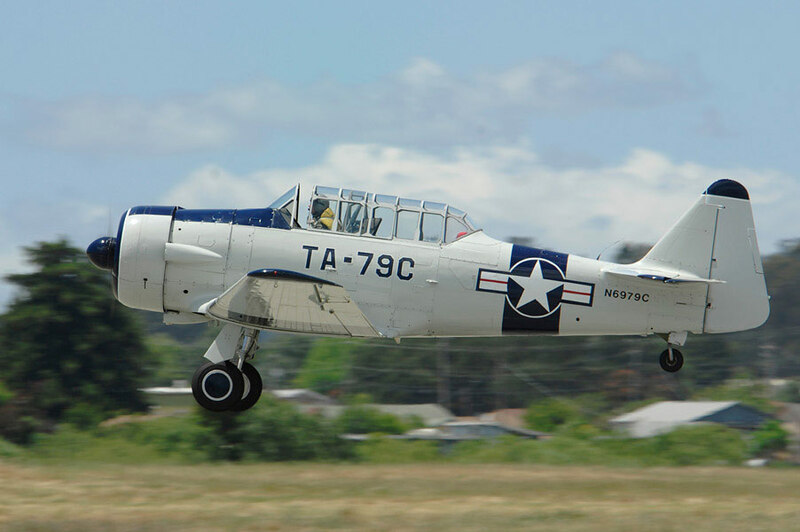 Just like our P-51D, T-6 79C has been operated by California Warbirds in many locations since the early 70's and is currently based in Hollister, CA. 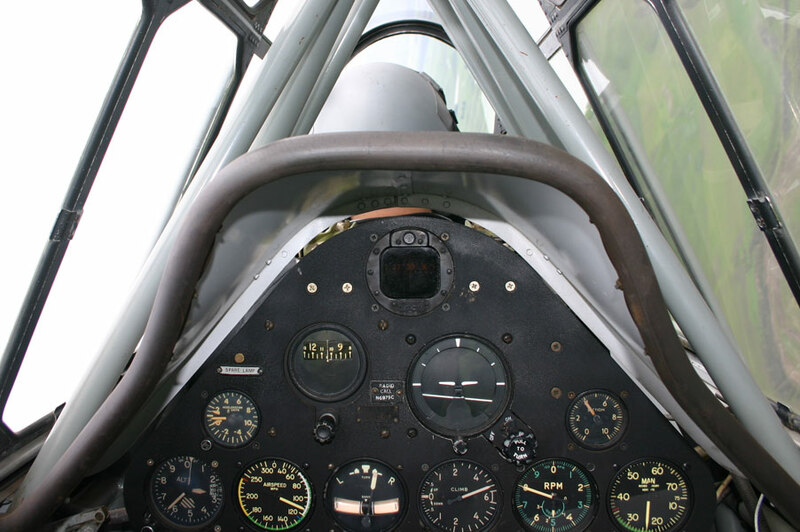 Our aircraft, built in 1944 represents one of the more common versions, the AT-6D, in which 4,500 were manufactured. 79C frequents many west coast airshows and helps serve as a new and recurrent trainer for the P-51D. To view more photos of 79C over the years visit our photo gallery.